As I have started making my blog more public, I have noticed blog hops and linky parties are a great way to get more traffic to your blog, which makes your blog more desirable for companies so you can possibly get more reviews/giveaway opportunities and sponsors. I don't know about you, but as a blogger seeing more followers makes me feel like I am not writing into empty space as well. So I decided to get a couple of my fellow blogger buddies together and help get everyone some traffic and new blogger friends! Also if you are interested in becoming a co-host, please email me at diana.n.chastain@gmail.com so I can get you set up! 1. Follow your host and co-hosts via GFC. It's just polite etiquette. We try to follow everyone who links up but please help us by commenting when you follow. Thanks! Thanks again. 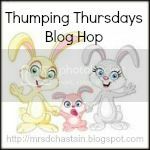 Please leave feedback on what we can do to improve this blog hop to make it more fun and beneficial for everyone. New GFC follower. Thanks for hosting the blog hop! Lots of great info on your blog and I am excited to check out the rest. COOL! I AM NOW FOLLOWING EVERYONE! great idea! I saw this blog hop on Marci's blog "Life With Joys" and wanted to join in. I am now following--I thought I was already--but, didn't seem to be. Heading off now to visit other sites! Have a great day. I found my favorite blogs on hops!! Stopping by from the Think Outside the Blog hop. I am happy to see you have a blog hop as well! I am your newest follower and would love if you could come visit my blog and follow. Just stopped by from the Welcome Wednesday hop. Good job on getting your linky up! I am still working on mine. I need some inprovement in my tech skills! Hi. Saw your post on Bloggy Moms. I am your newest GFC follower. Thank you for hosting this hop. Good luck on your weight loss. One pound at a time gets you where you want to end up. Does your blog have a contact page? I'm having a tough time locating it but, I'd like to send you an e-mail.